For this episode of the Locus Roundtable podcast, I talk with Karen Lord – recent winner of the Mythopoeic award and World Fantasy Award nominee for her debut novel Redemption in Indigo. She also has a background in physics as well as public policy, giving her a unique perspective on science and literature. We talk (and laugh) about science, science fiction, communication and society, ‘hard’ sciences and ‘soft’ sciences, and eventually come to an interesting idea about structure, where we consider the possibility of stories structured as myth vs. those structured logically/scientifically – and point out that either sf or fantasy can use either structure. The names Greg Egan, Isaac Asimov, Ursula K. Le Guin, Ted Chiang, Daryl Gregory, and Joan Slonczewski are all bandied about. 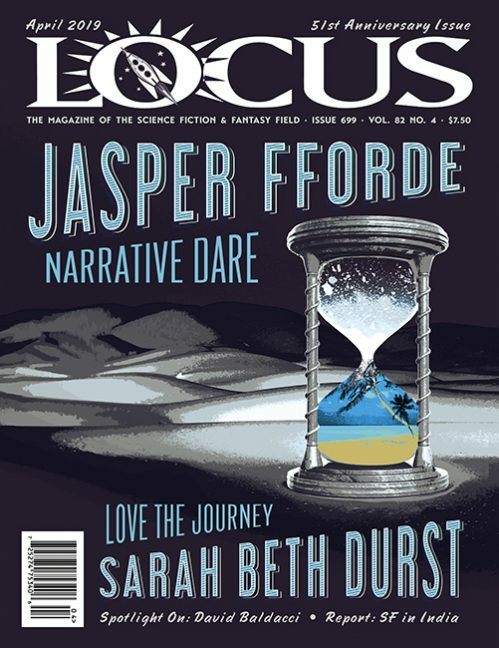 There’s a nice synchronicity with this podcast, as Karen Lord is one of the interviews in the August issue of Locus, and I have a straight-up science article in the latest issue of Clarkeworld. Even better timing than usual!